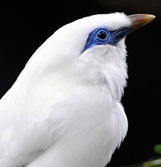 Curik (Jalak) Bali (Starling) is a rare bird that is beginning to live only in Bali. 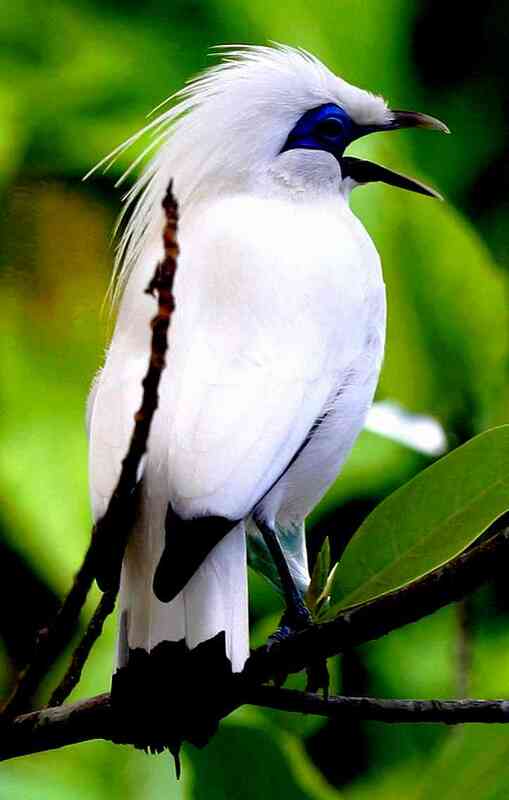 Curik (Jalak) Bali (Starling) also become endemic on the island of Bali, and the mascot for Bali. Curik (Jalak) Bali (Starling) was first found by Baron Stresseman in March 1911. Baron Stressman is a bird expert from England. He accidentally discovered the Bali Starling in the area of Singaraja, Buleleng Regency, Bali. Mr. Baron find these birds in the village of Bubunan, since that time, bird of Curik (Jalak) Bali (Starling) are categorized as endangered endemic bird species and different from the other types. This bird is very rare, and the government has to protect this bird with the legislation that its existence does not become extinct or disappeared. In 1925, Dr. Baron Victor von Plessen began to conduct intensive observations. Observation is done to determine the spread Curik (Jalak) Bali (Starling). From the observation will be undertaken, it is known that the spread of bird populations exist only in West Bali region, namely in the village of Bumbungan in Buleleng to Gilimanuk. It is known that the area of West Bali is extensive and dense forests with large trees. But this time the forest in the West Bali has been damaged by illegal logging by local residents. Now the forest area in West Bali became a national park, the West Bali National Park (Taman Nasiona Bali Barat / TNBB). West Bali National Park (TNBB) located at the western end of the island of Bali. This park has a lot of natural wealth of natural beauty and the sea is the main attraction of tourists. National park area is largely protected forests, and habitat of rare bird life named Curik (Jalak) Bali (Starling). However, not all forest in the national park has become a Bali starling bird life. In West Bali National Park (TNBB), there are about 160 species of birds that live in the wild. 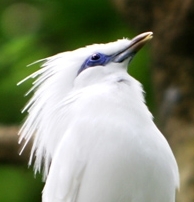 But only Curik (Jalak) Bali (Starling), which is always a concern for everyone who visit this national park. There are breeding Curik (Jalak) Bali (Starling). Captive breeding is done to keep this bird is not extinct and can be bred well and quickly. Because Curik (Jalak) Bali (Starling) outside the breeding numbers continuously reduced and increasingly difficult to find. In 1970, Curik (Jalak) Bali (Starling) were categorized as critically endangered. Since then, the sale value of the Bali starling bird soaring in the market, are very expensive. Since that time the Bali Starling increasingly being found on the black market trade of birds. Due to the very high sale value and categorized as rare birds. Although the West Bali National Park is a native habitats and the only one for Curik (Jalak) Bali (Starling), but this time the Bali Starling can be found outside of Bali, also in different countries. This bird can be found in zoos. 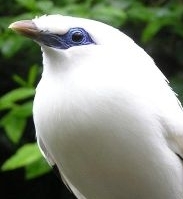 Even breeders in Bali Bali Starling sires should bring from Japan, because it is considered better.